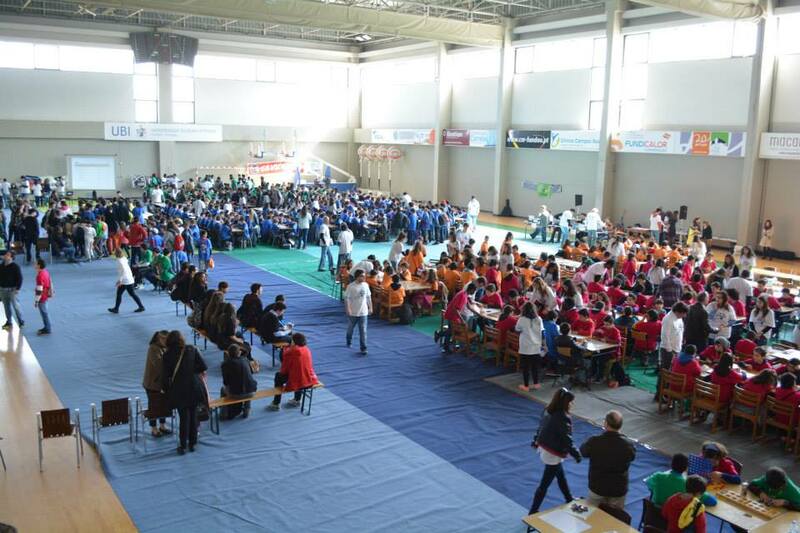 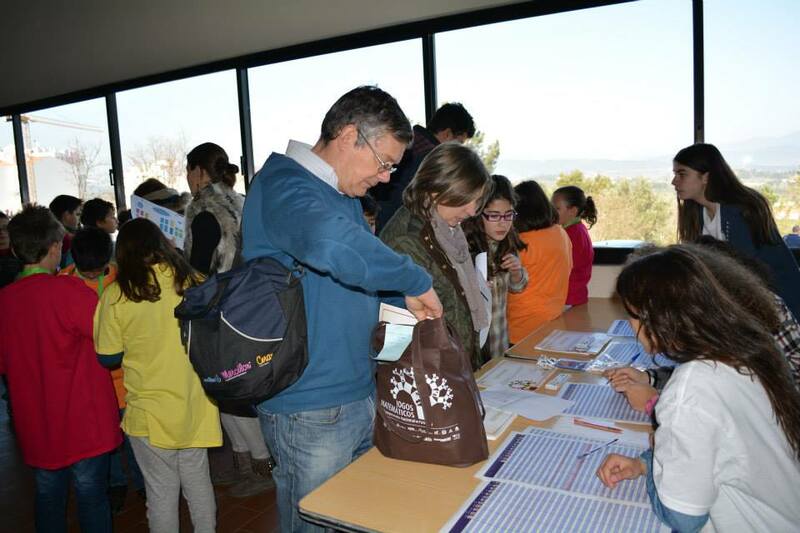 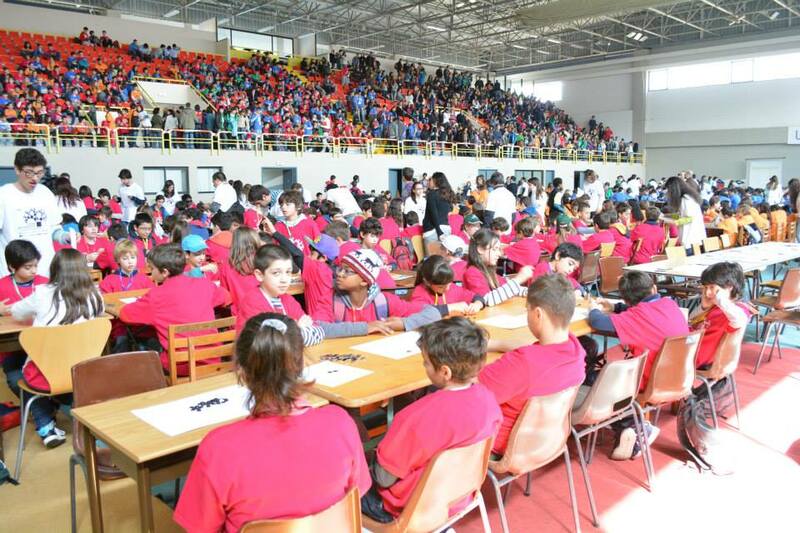 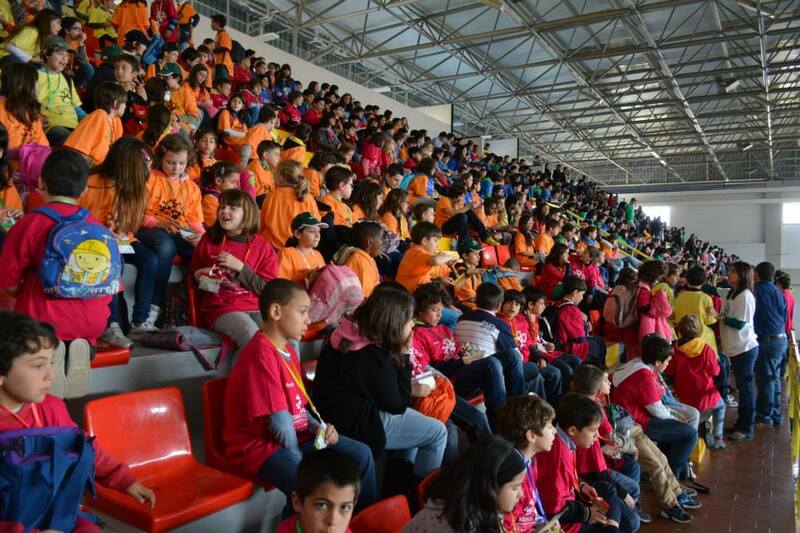 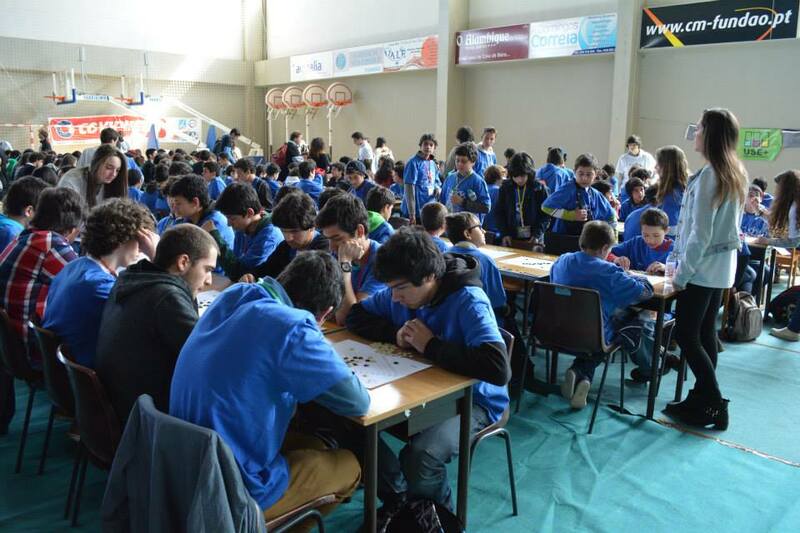 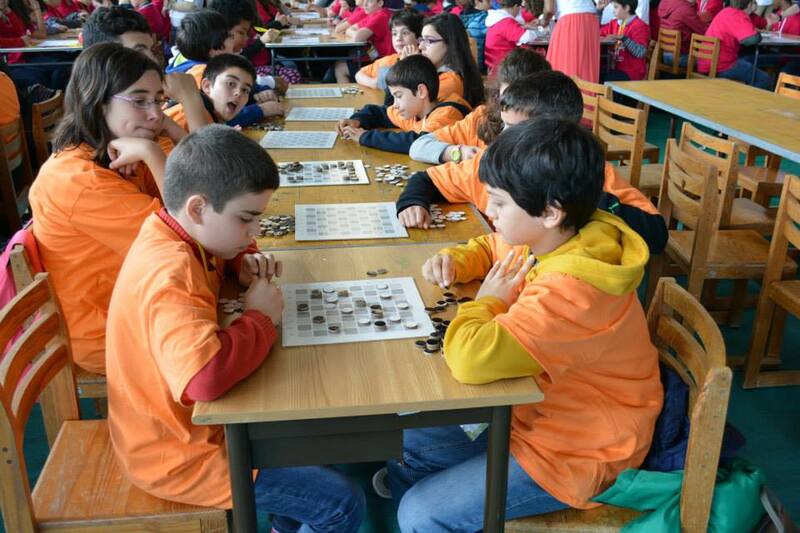 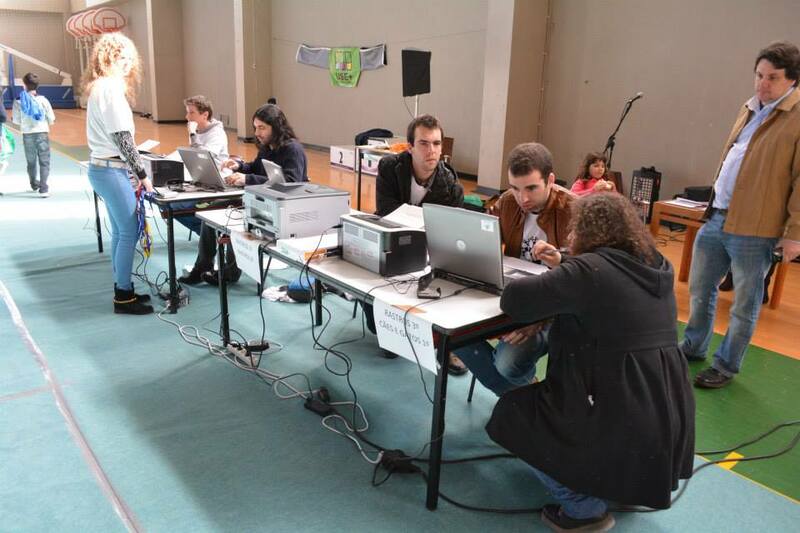 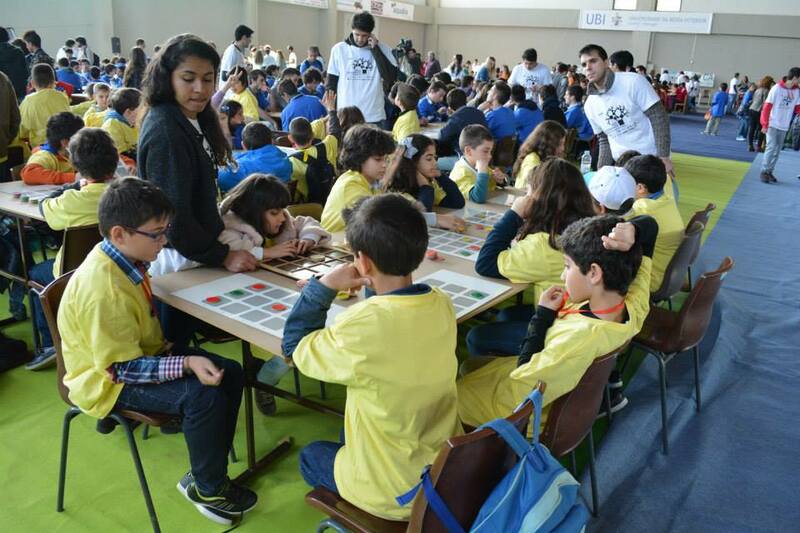 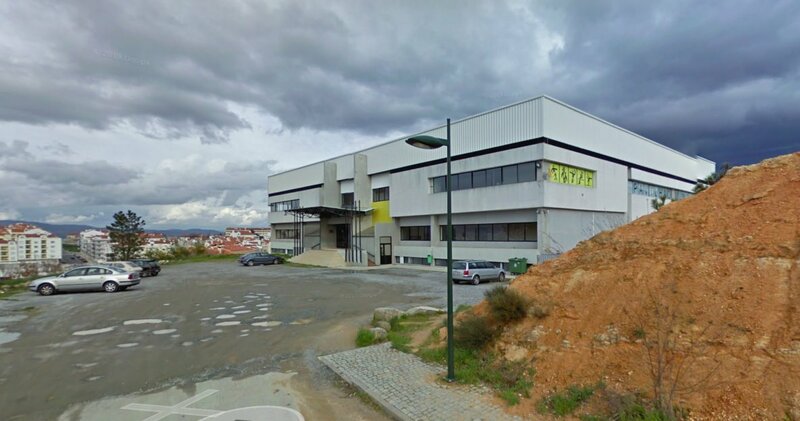 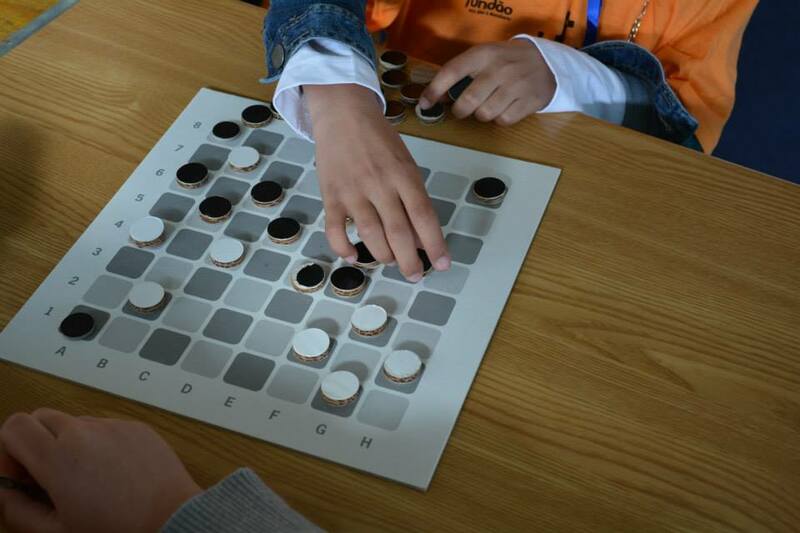 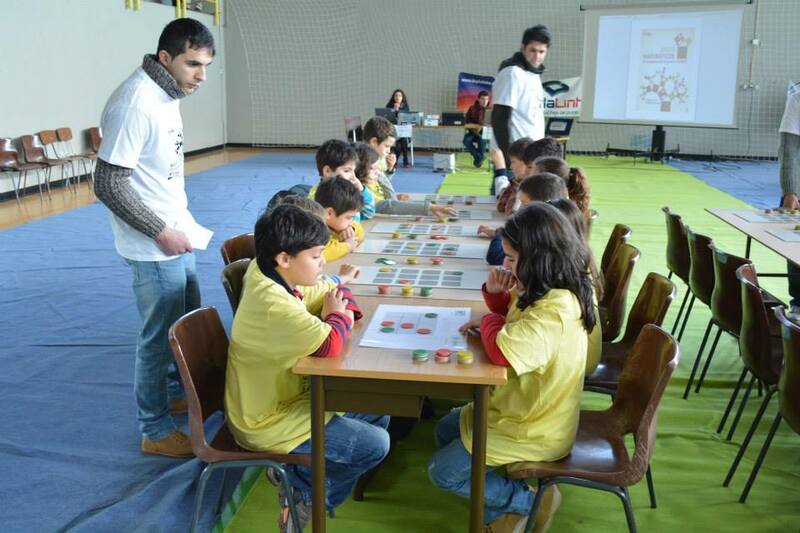 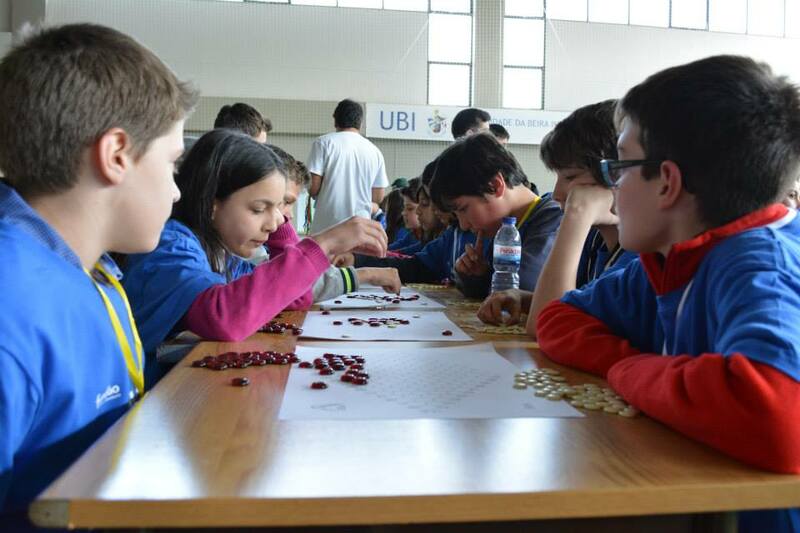 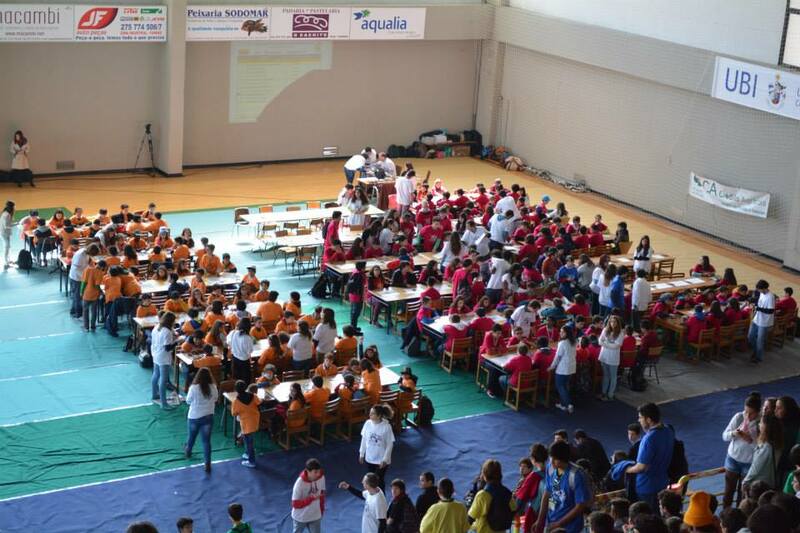 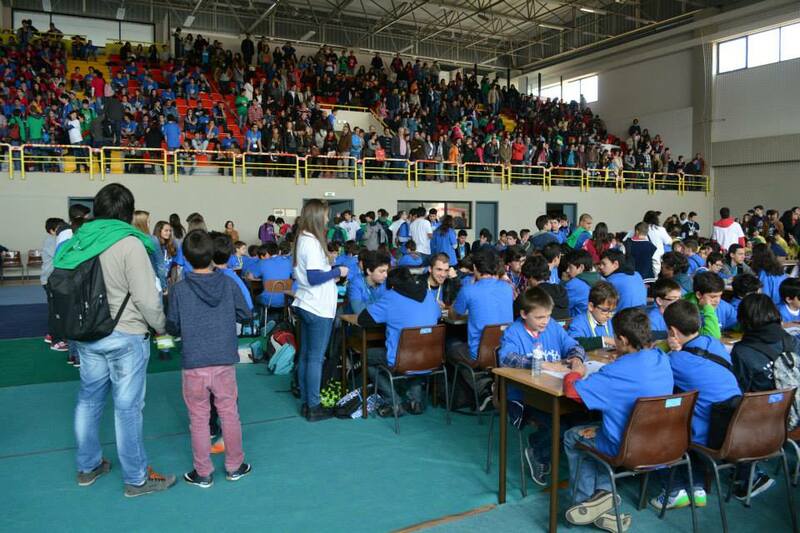 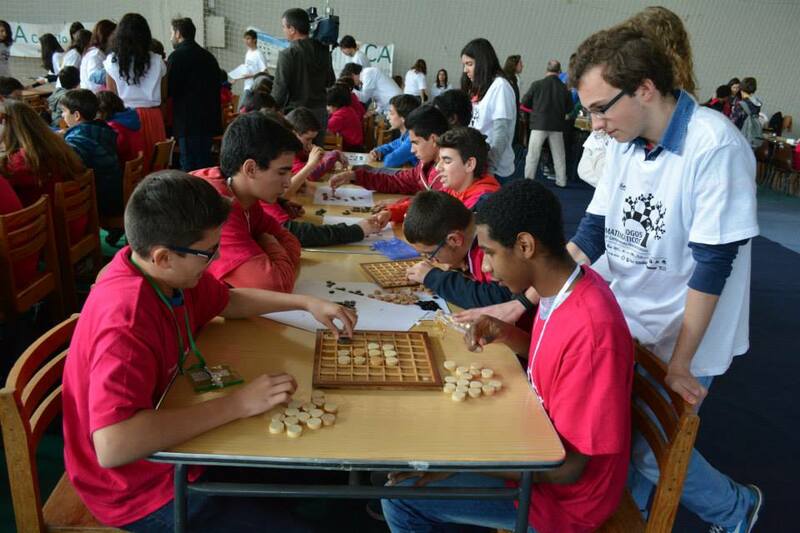 During March 14, 2014, around 1200 students (aging 7 to 17) from all Portugal joined at Fundão to play six different abstract games. 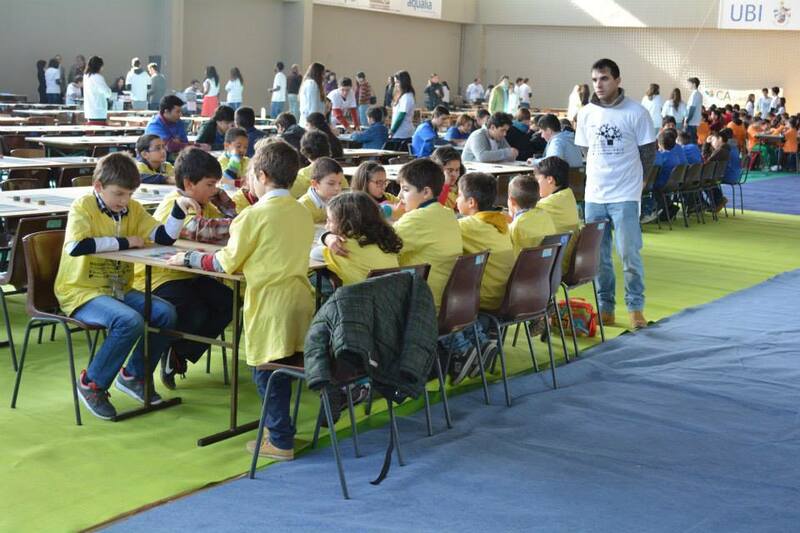 The event was organized locally by the following organizations: Câmara Municipal do Fundão, o Agrupamento de Escolas do Fundão, o Agrupamento de Escolas Gardunha e Xisto, a Escola Profissional do Fundão, a Escola de Hotelaria e Turismo do Fundão, o Externato Capitão Santiago de Carvalho e a Associação Comercial e Industrial do Concelho do Fundão. 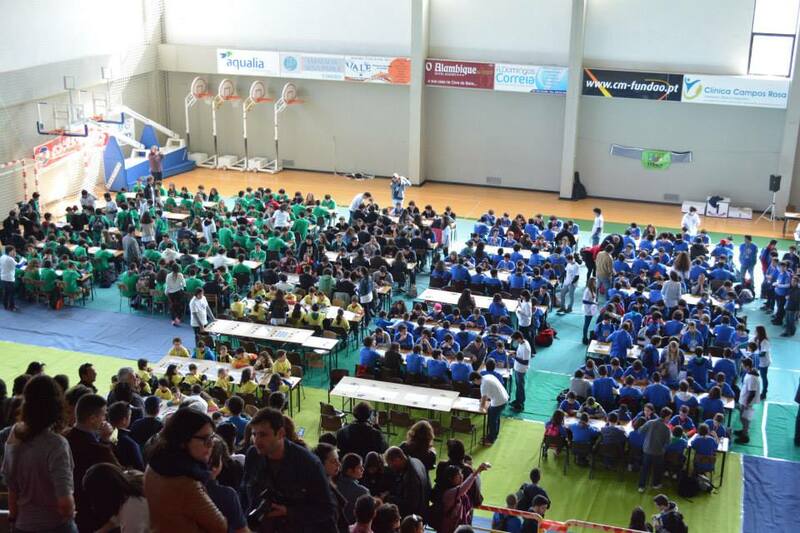 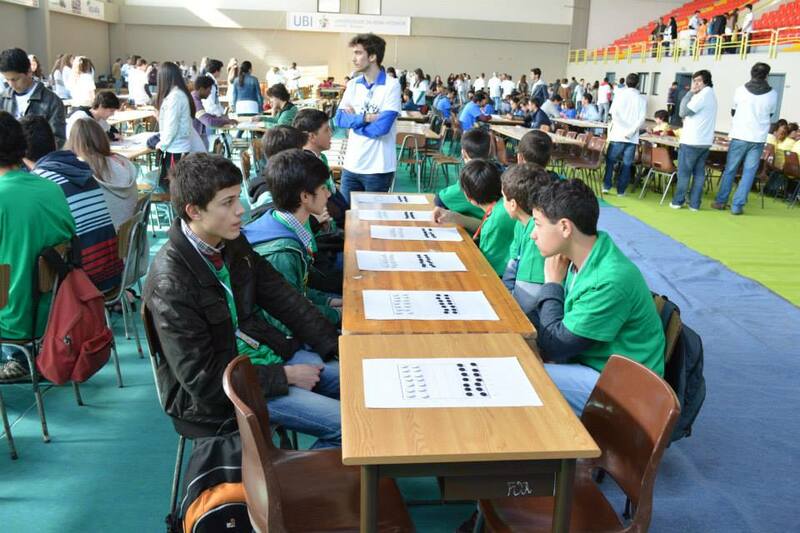 The Portuguese Tournament of Mathematical Games started months before in several hundreds of schools, scattered thru all Portugal, with local tournaments to find what students were the best players. 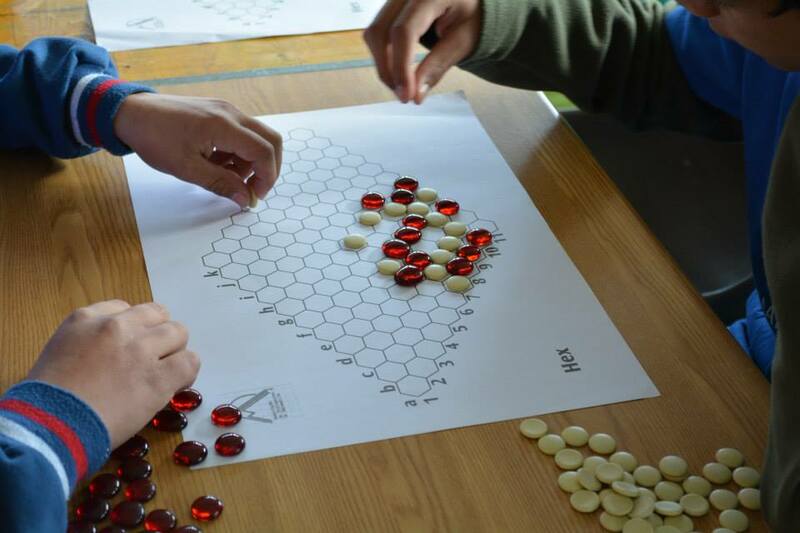 Slimetrail - the Bill Taylor's 7x7 square variant for faster plays during the tournament. 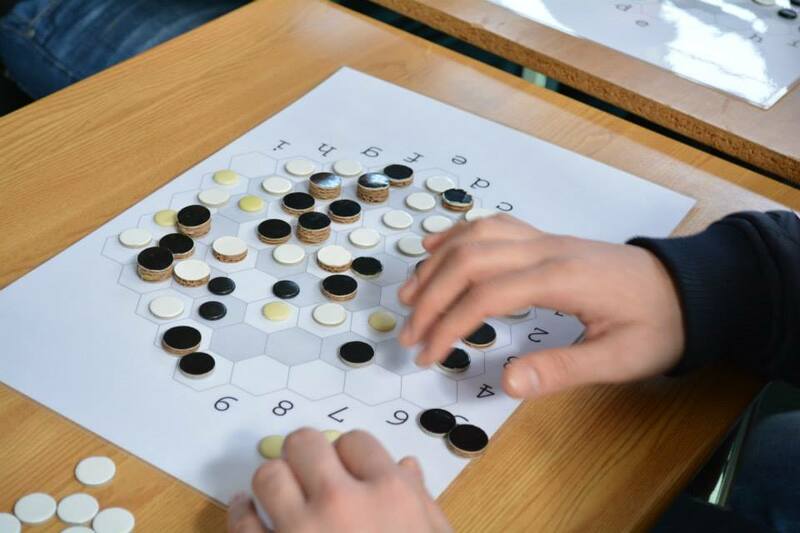 Hex - the famous connection game. 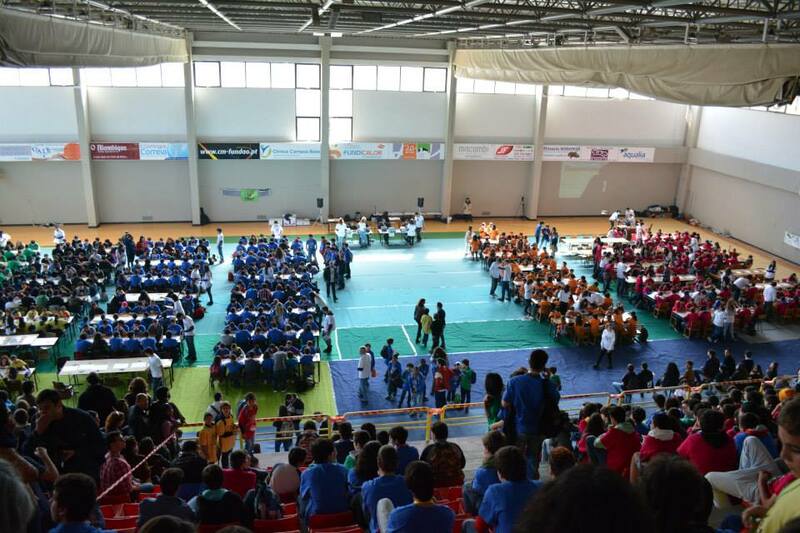 This meant 12 independent tournaments (a tournament per age per game). 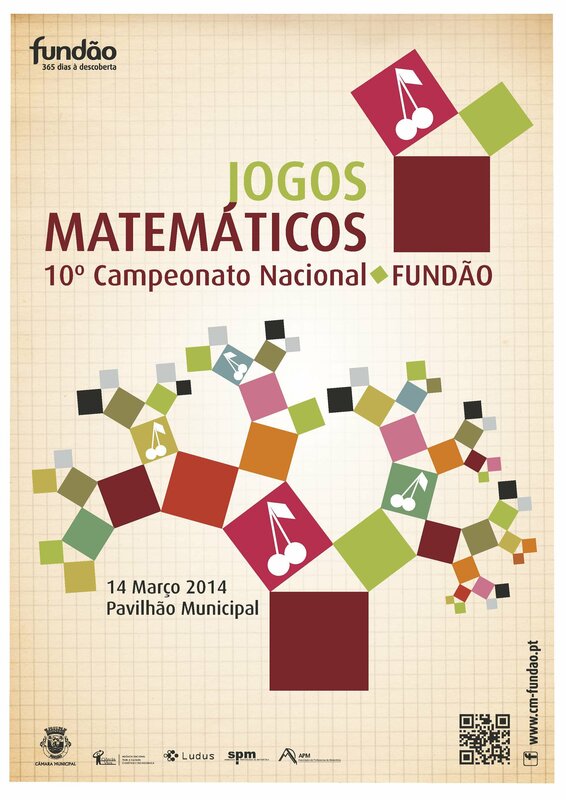 More information can be found at ludicum.org (in Portuguese), more photos here. 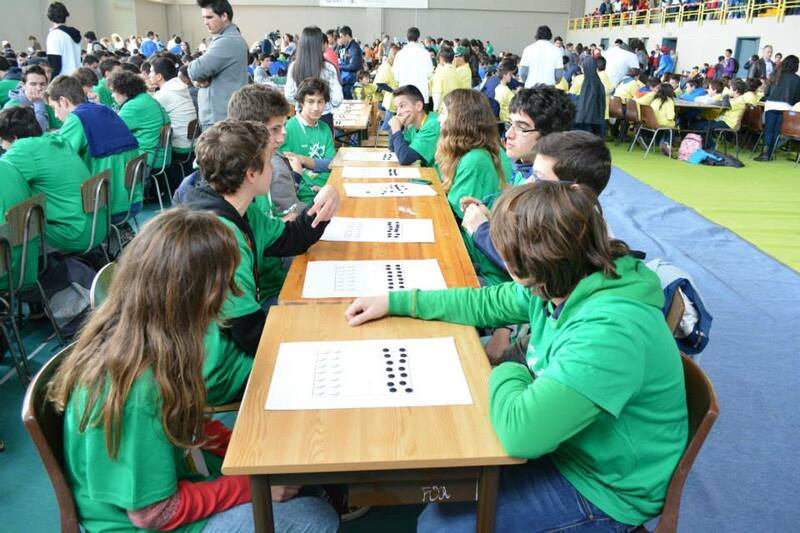 The best student of each tournament was selected to the afternoon's final. 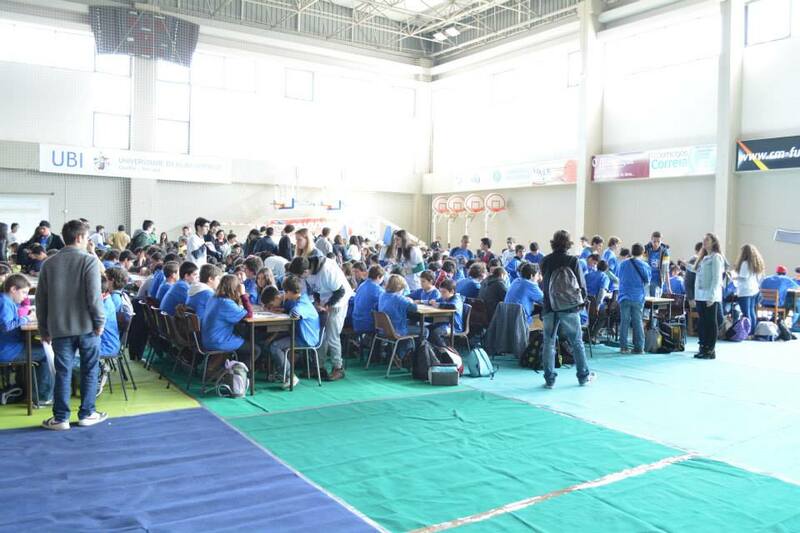 This last tournament decided the winners. 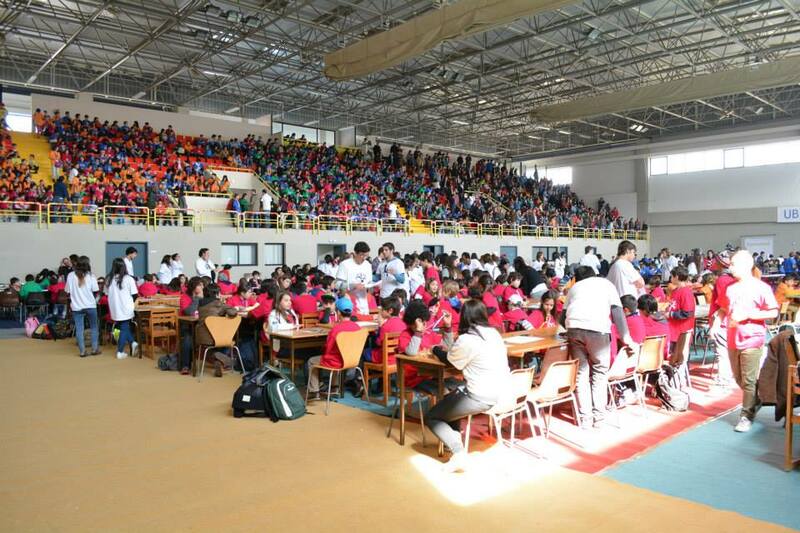 There were about 160 students. 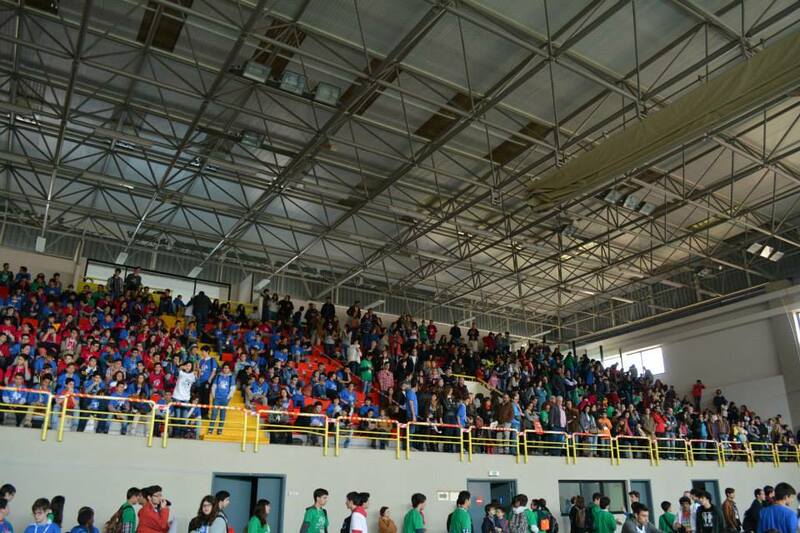 We wish to thank all the organizations that made this possible and also all the wonderful people that work really hard to make this possible. 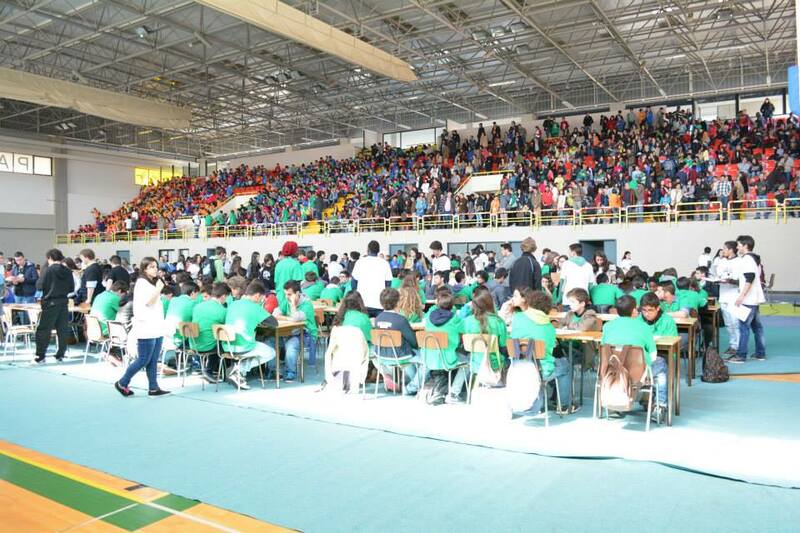 Also, to the usual suspects: Alda Carvalho, Ana Fraga, Carlos Santos, João Neto, Jorge Nuno Silva, Luís Malheiro, Teresa Santos and all the great professors and assistants that volunteer to help us with this wonderful event.